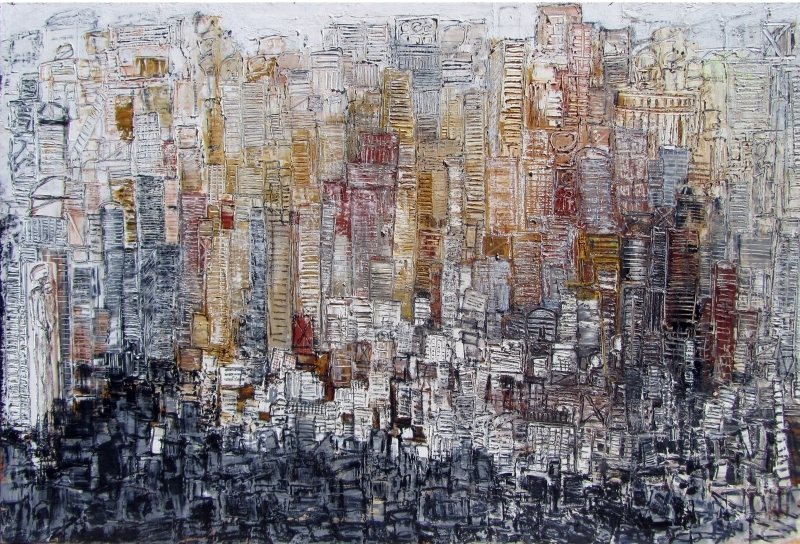 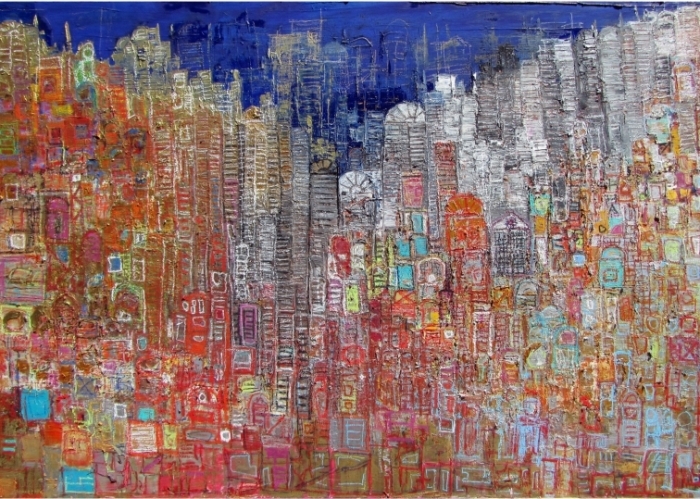 In celebration of its 5th anniversary, Al Masar Gallery | Contemporary Art has the pleasure to announce the opening of the first solo exhibition titled “Urban Diversity” by artist Ahmed Farid. 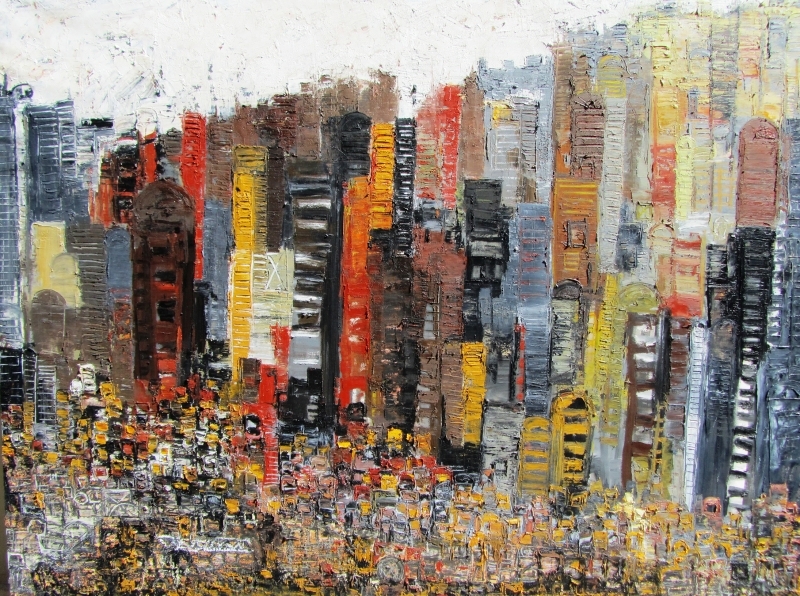 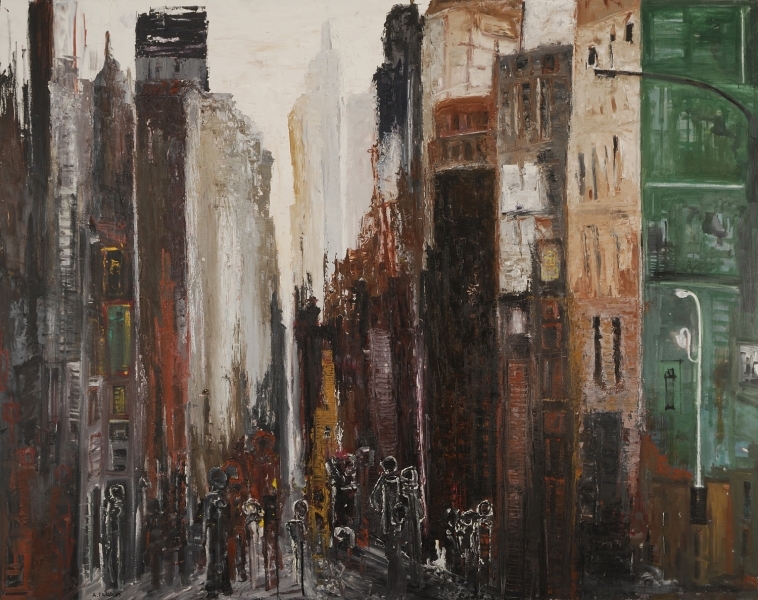 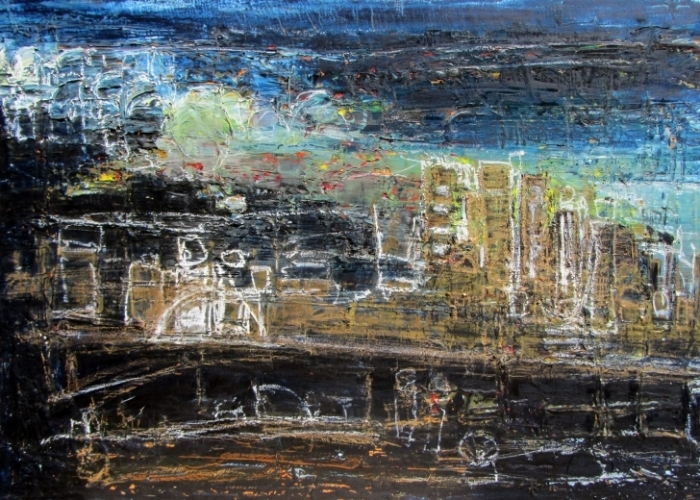 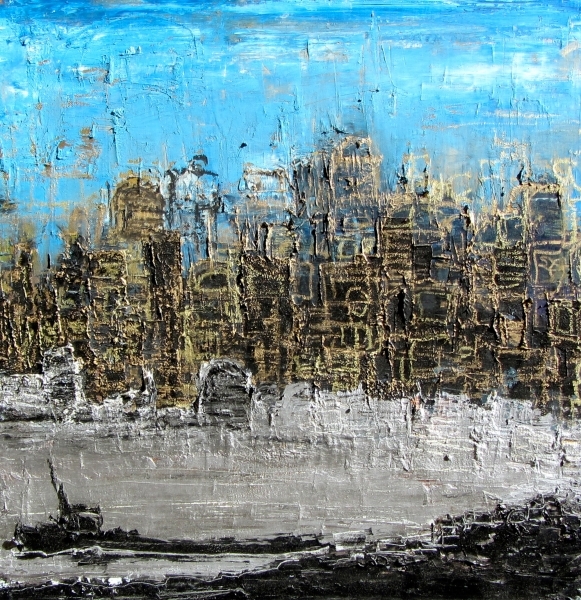 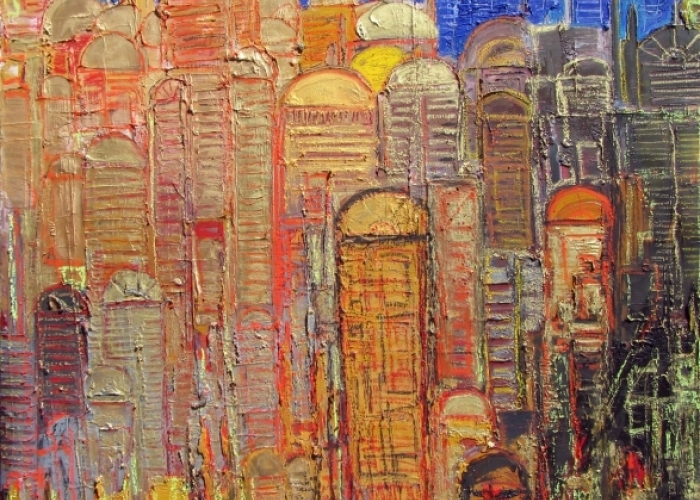 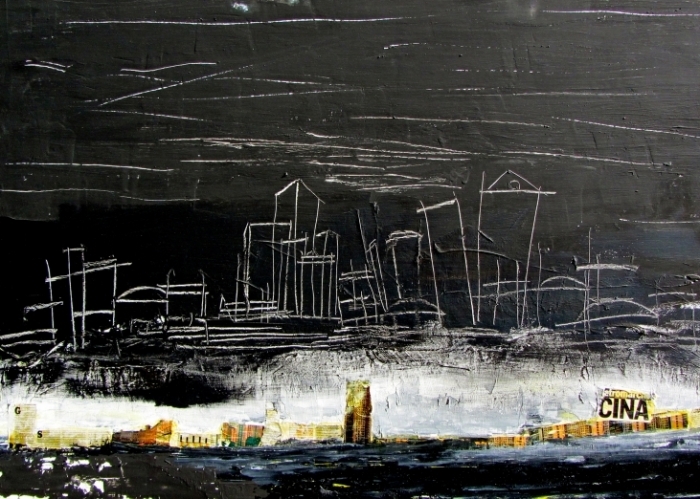 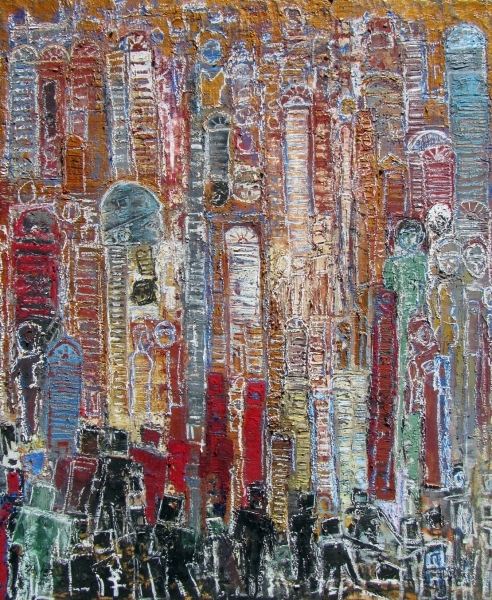 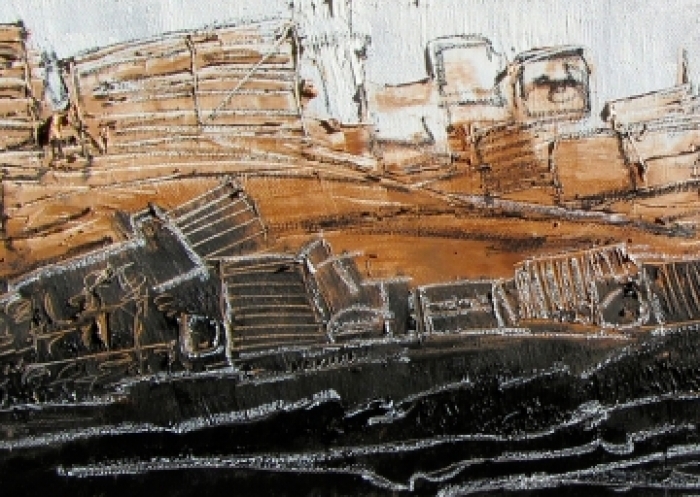 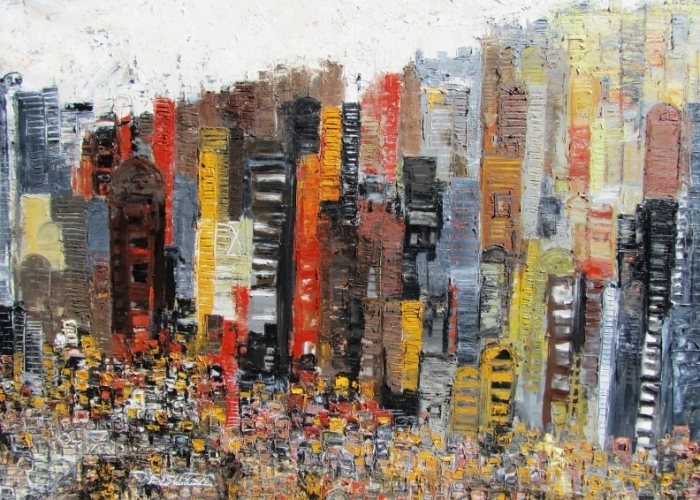 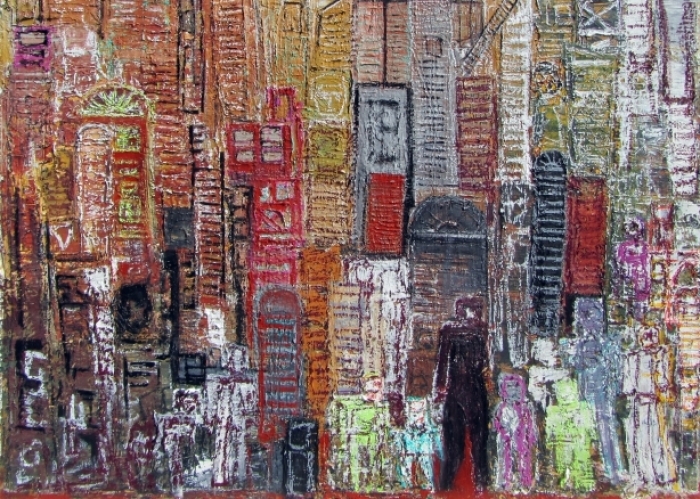 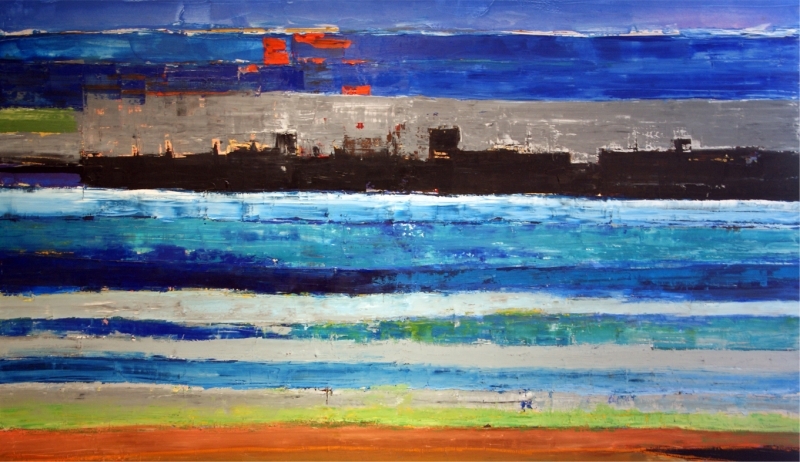 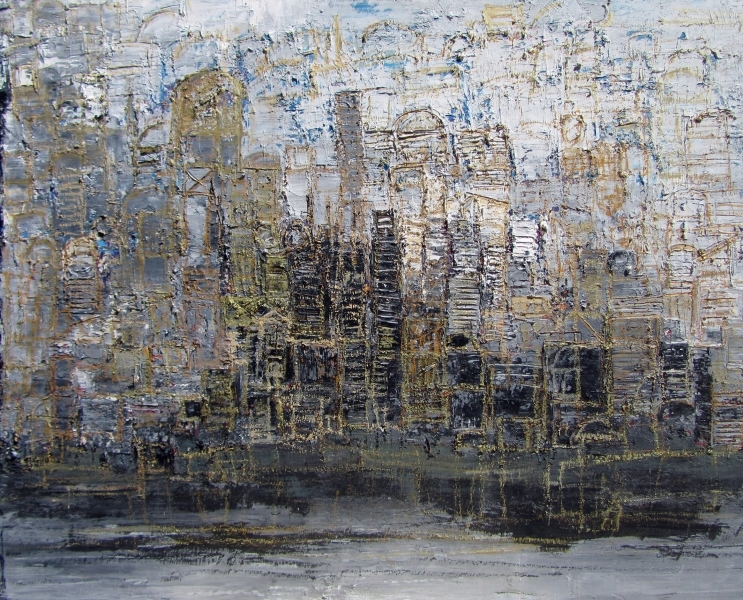 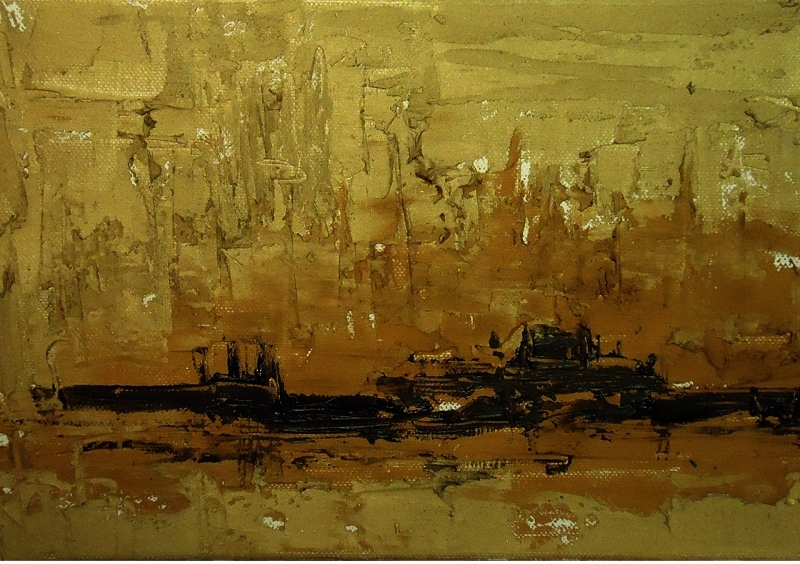 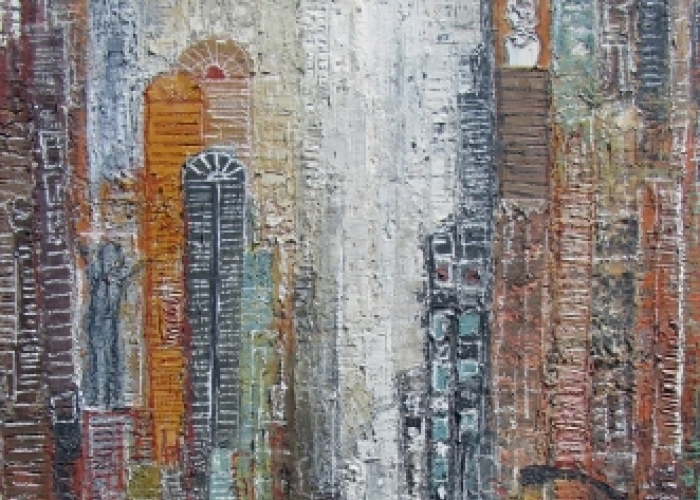 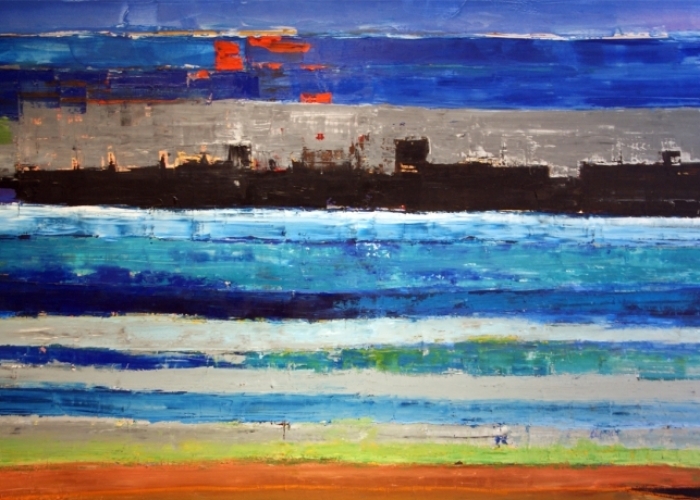 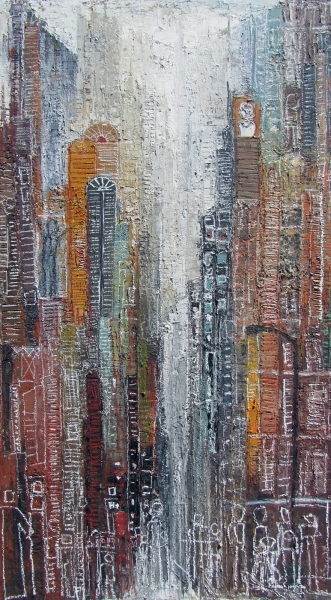 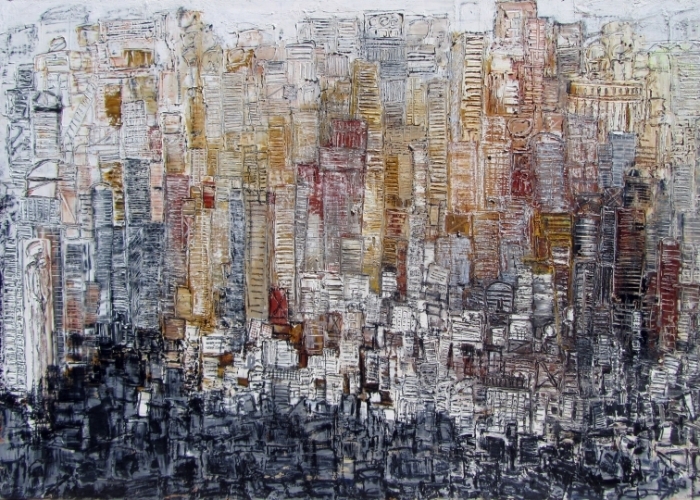 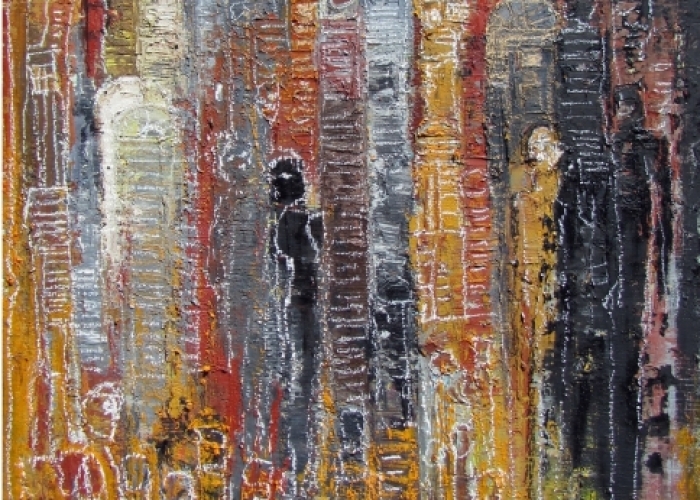 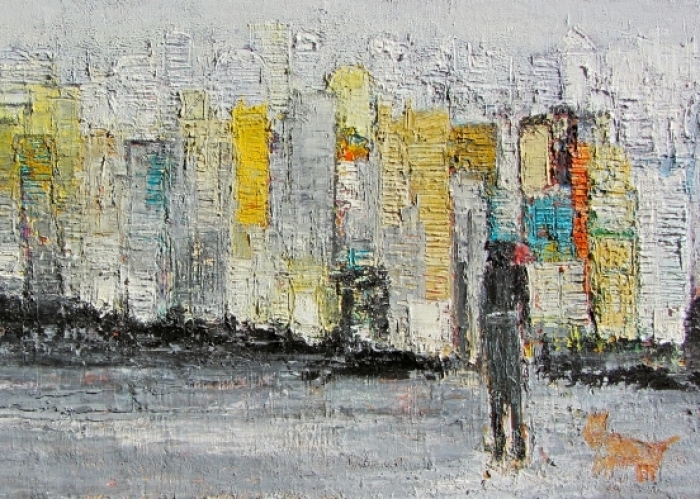 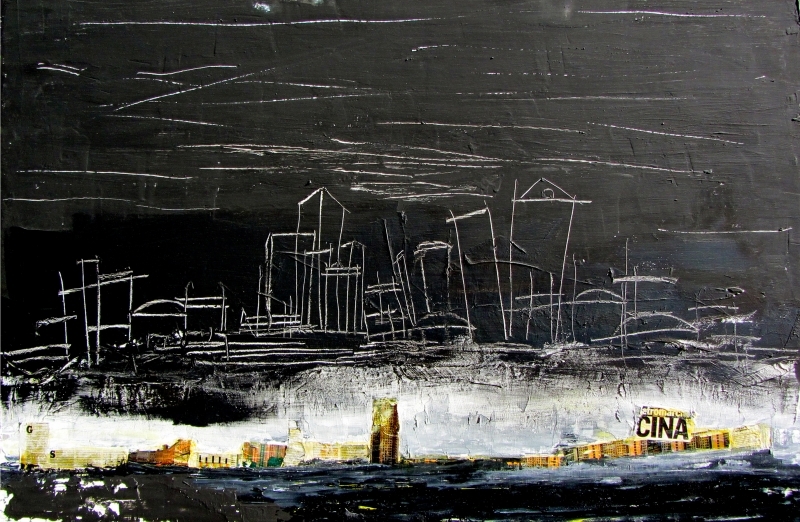 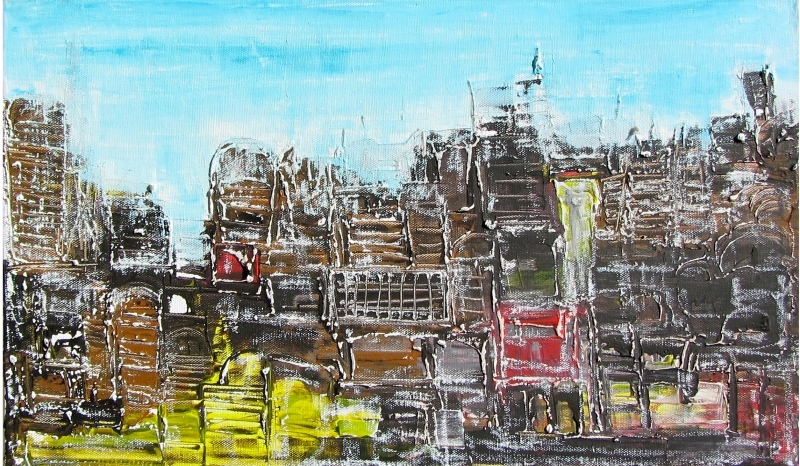 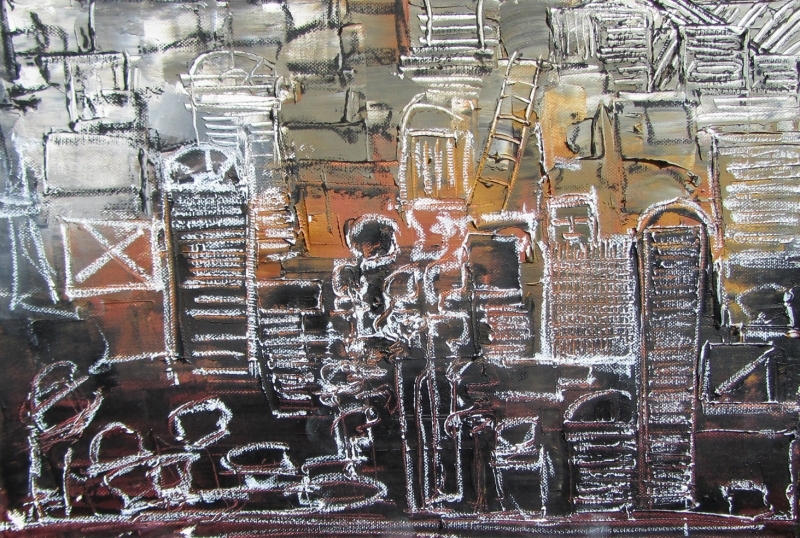 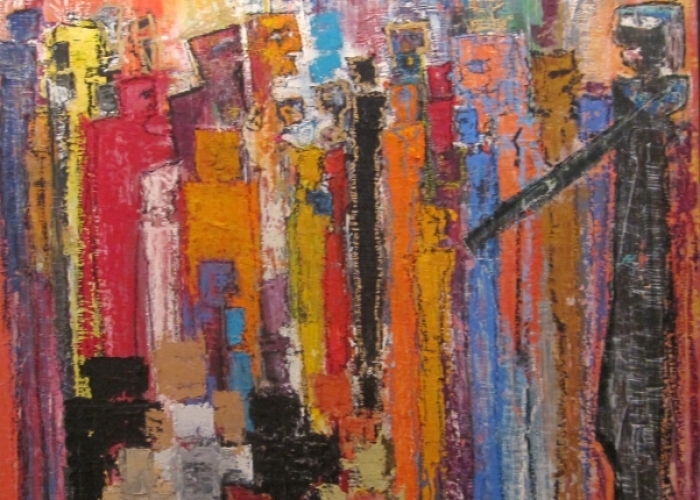 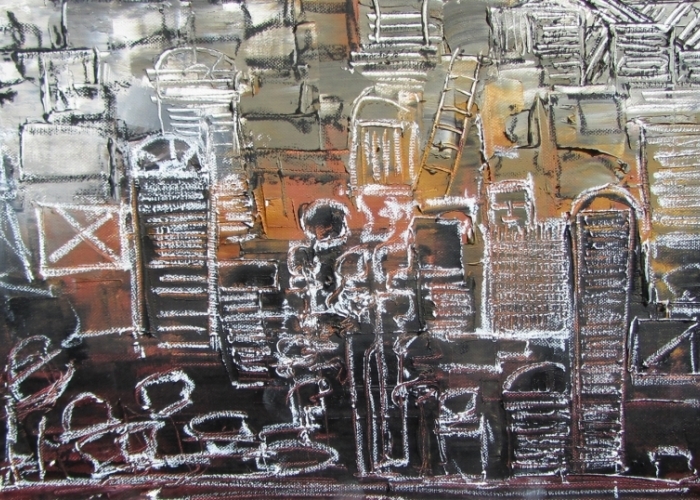 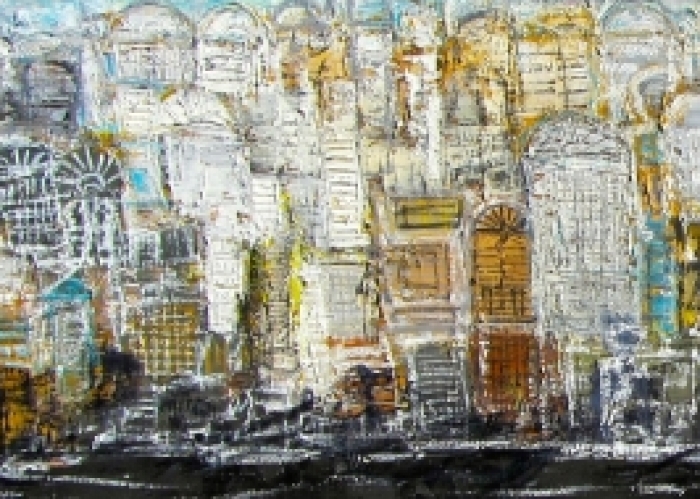 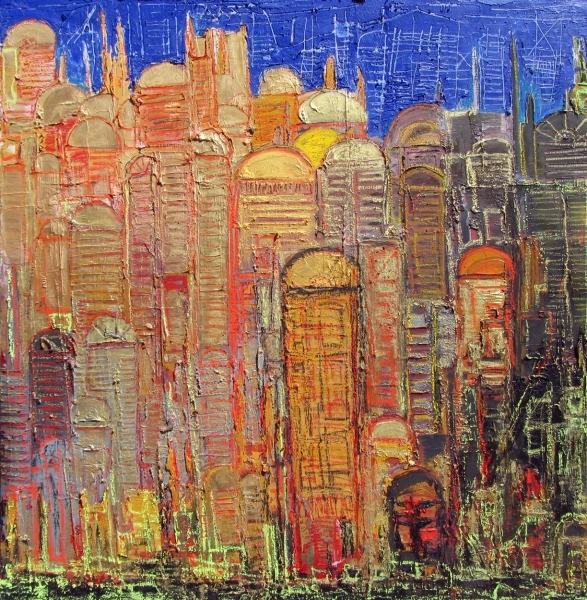 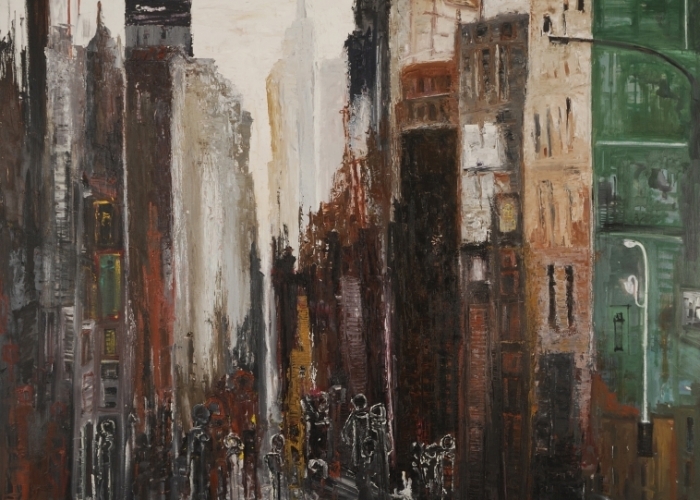 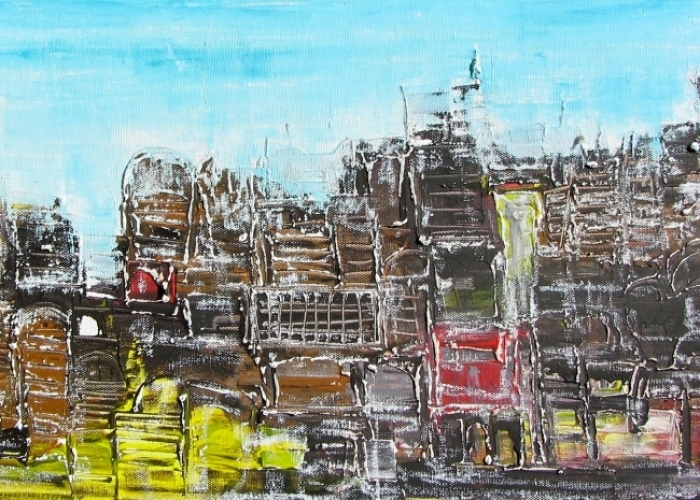 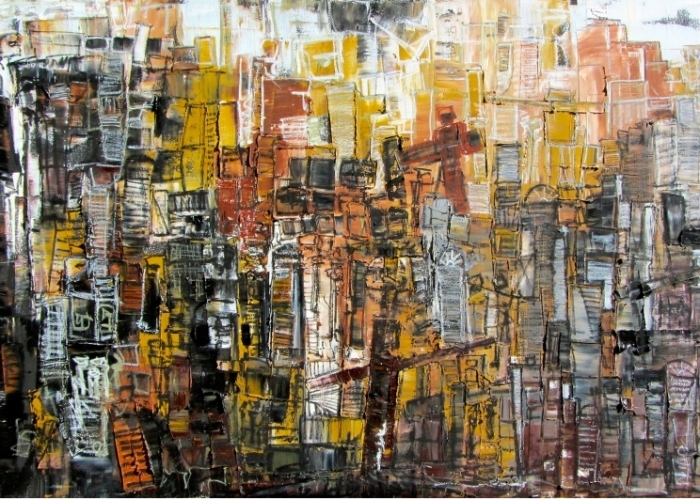 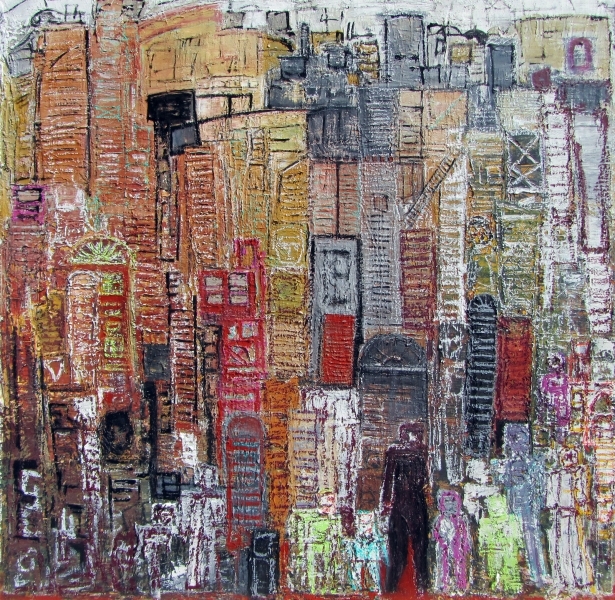 The artist in the exhibition is inspired by the diverse city of Cairo in which he lives, and in particular by the sharp contrasts in urban dwellings which exemplify the Egyptian capital. 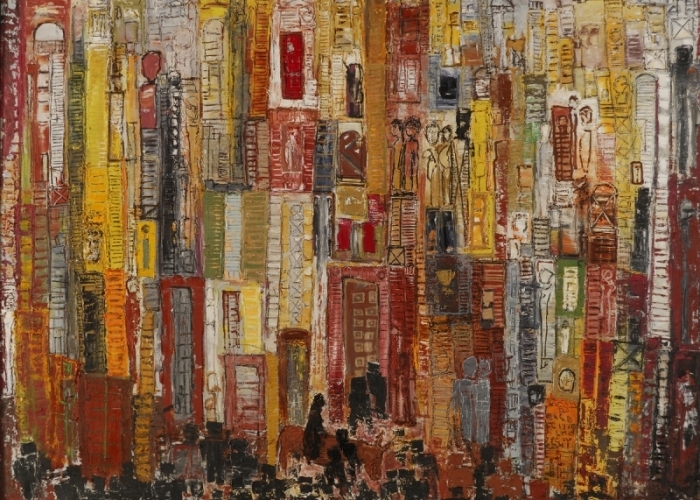 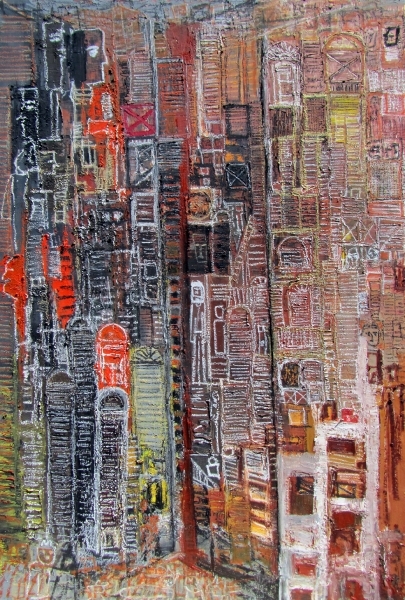 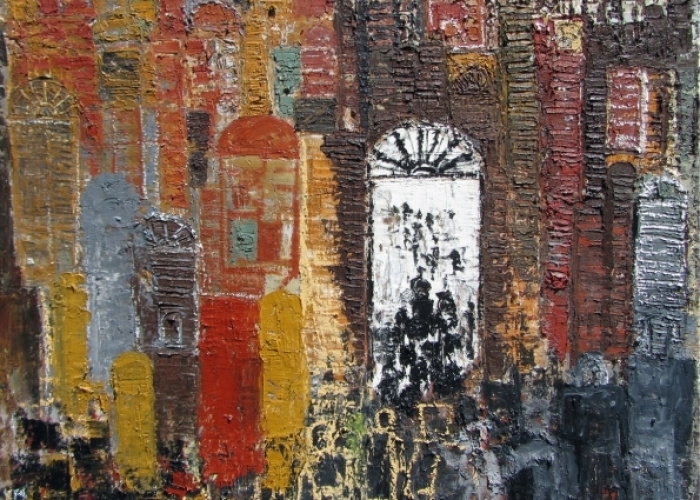 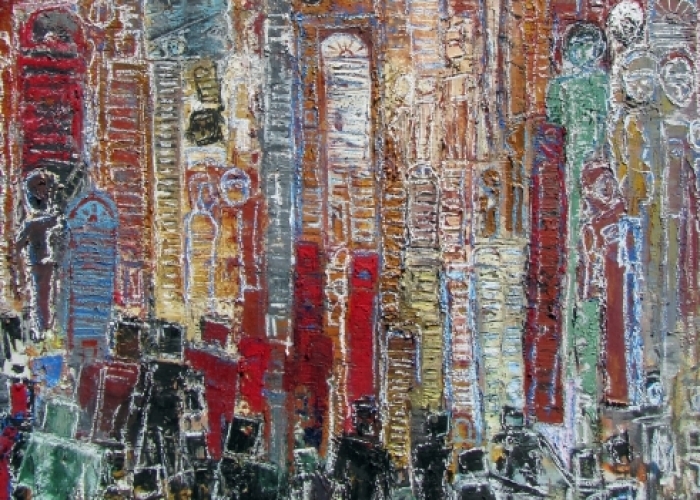 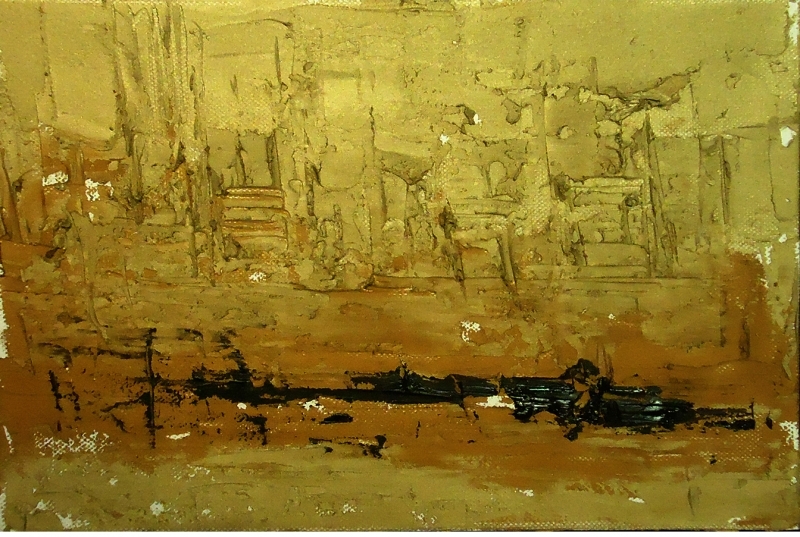 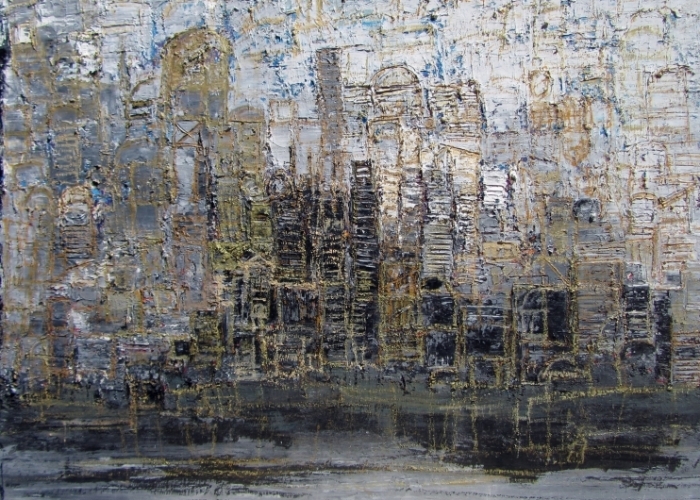 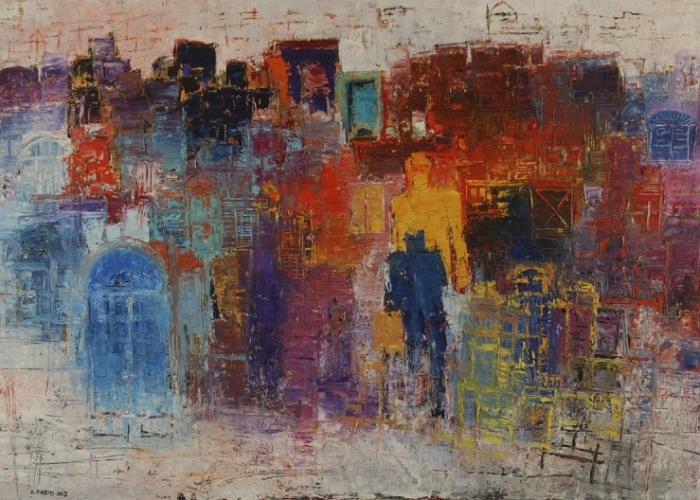 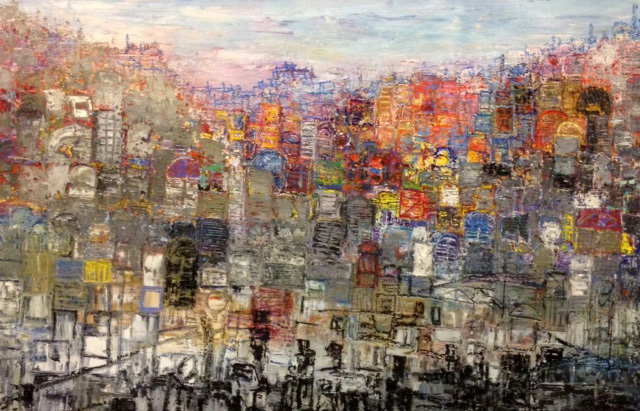 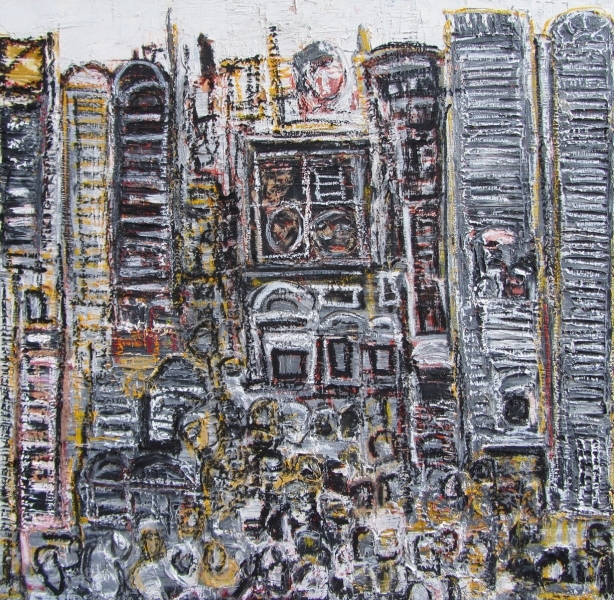 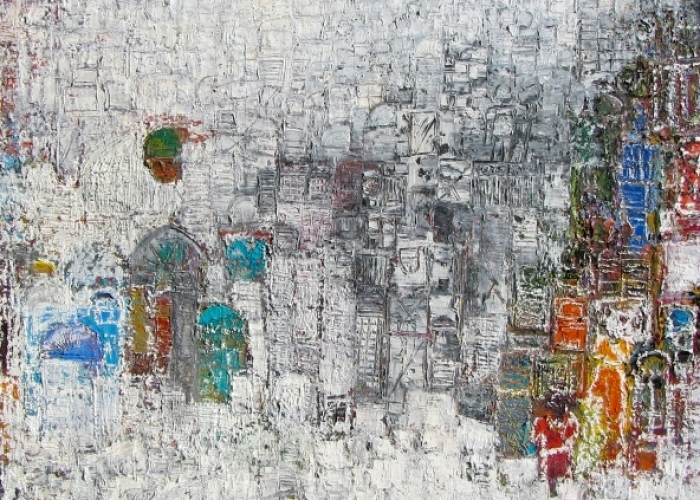 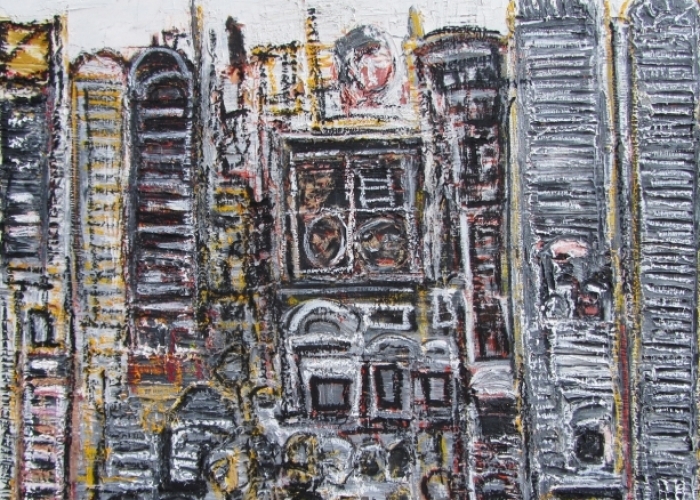 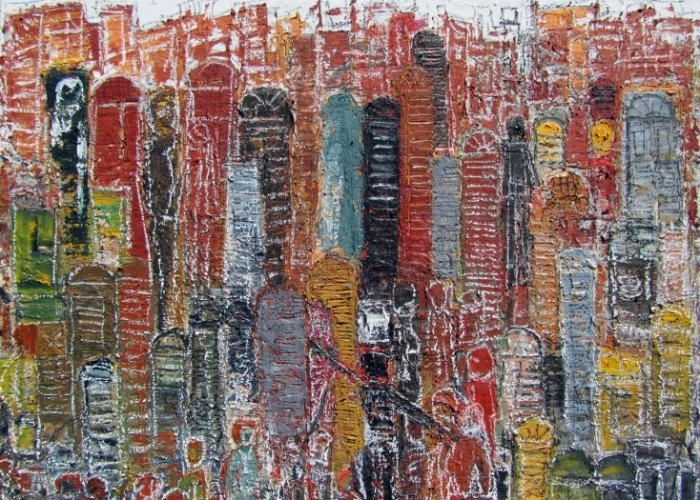 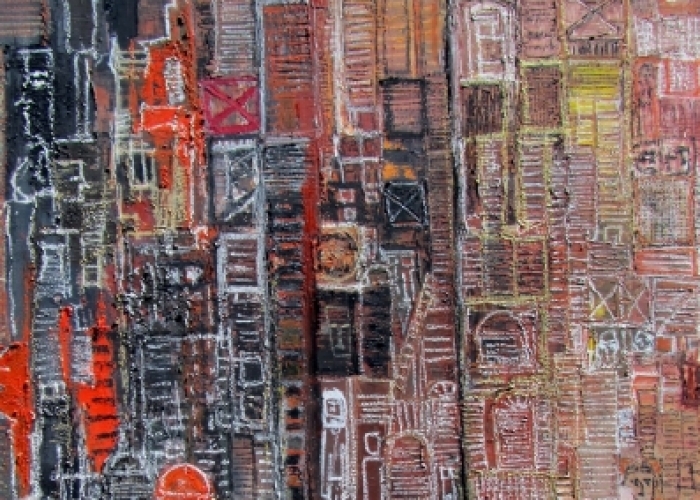 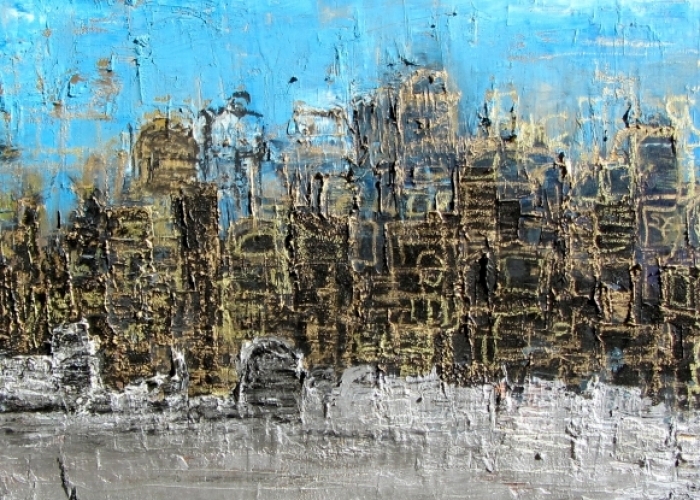 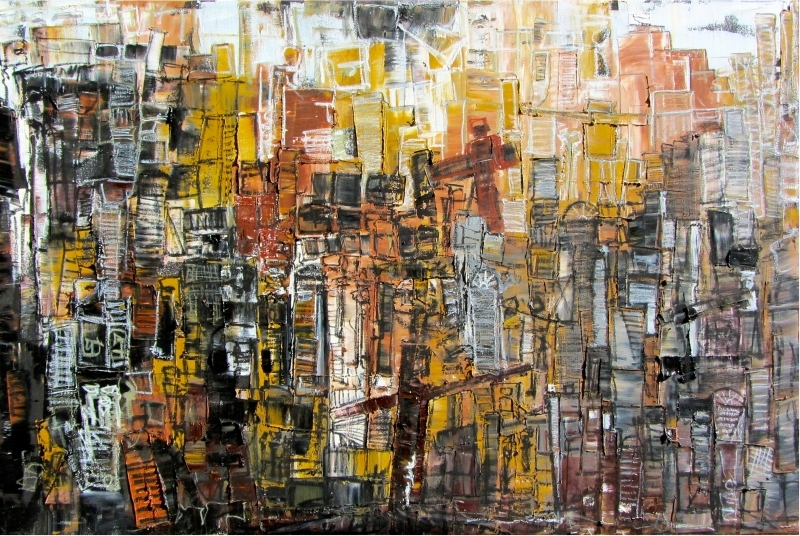 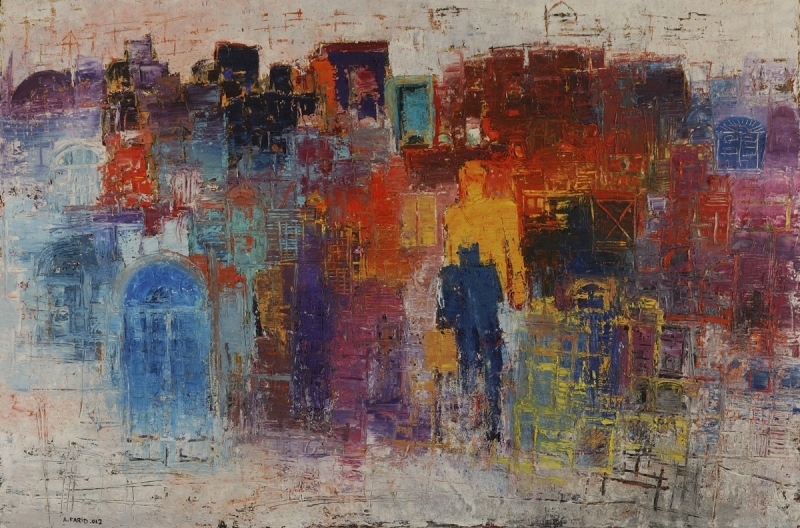 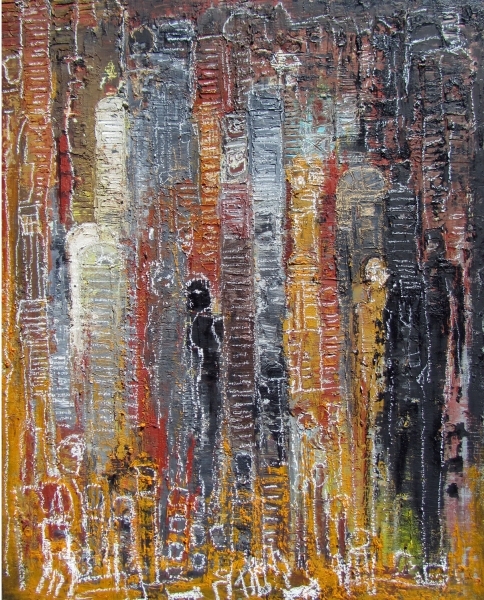 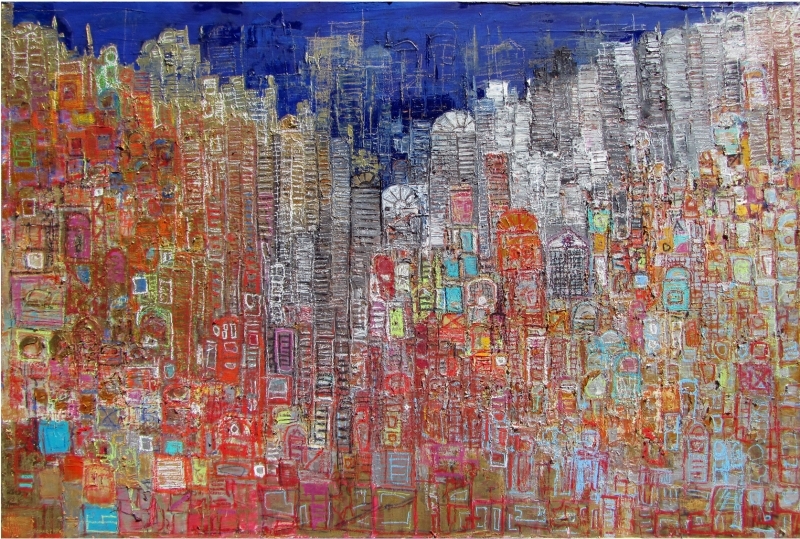 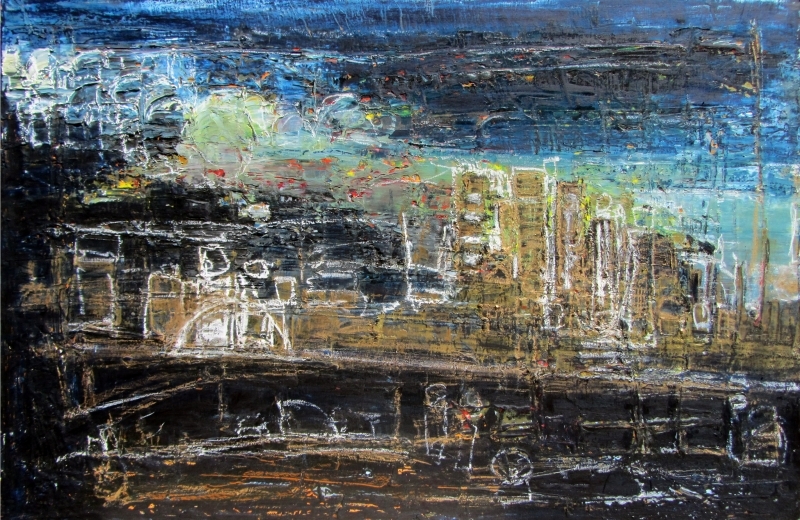 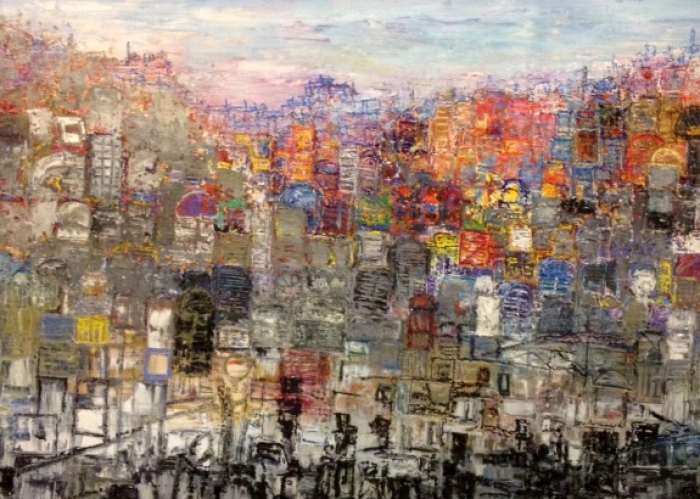 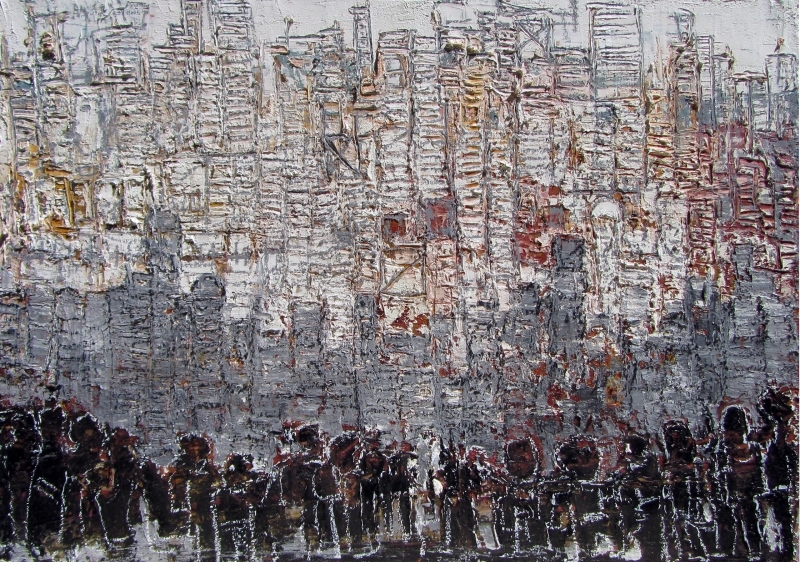 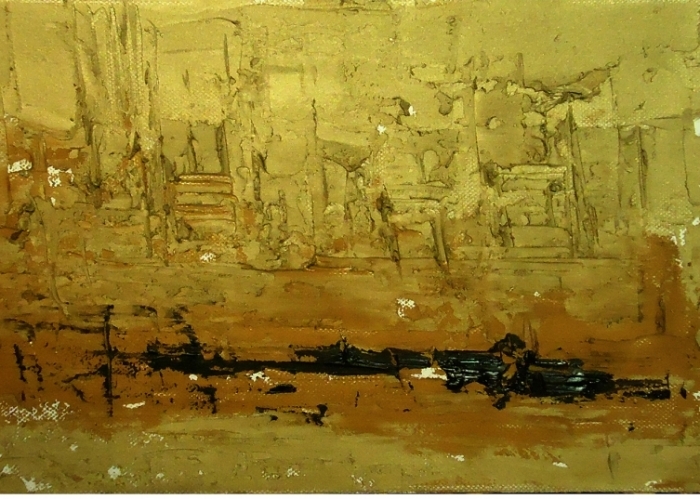 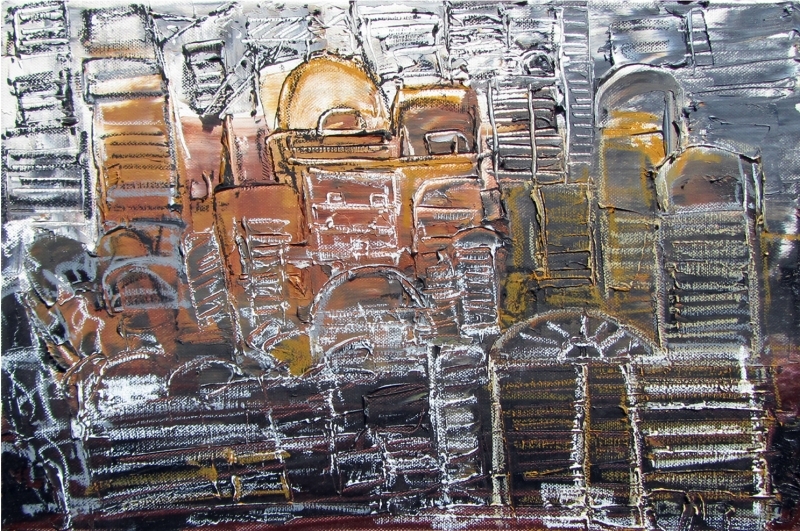 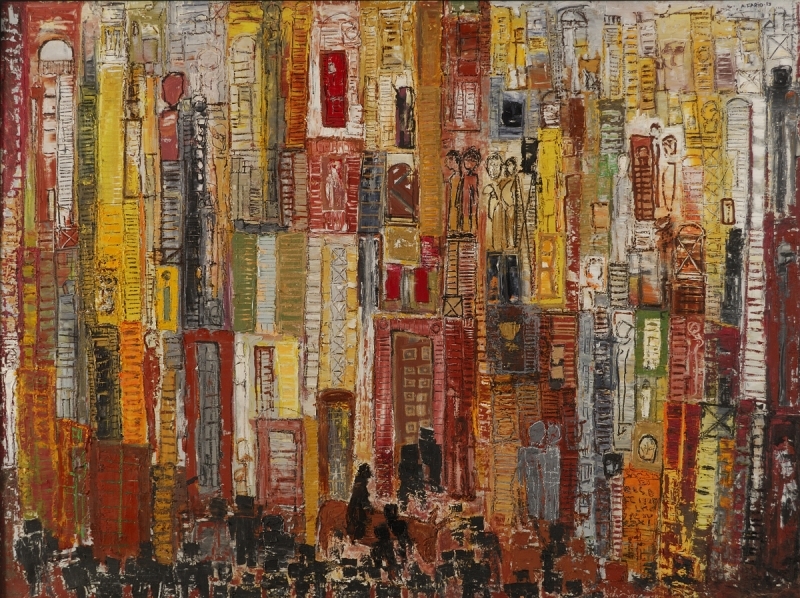 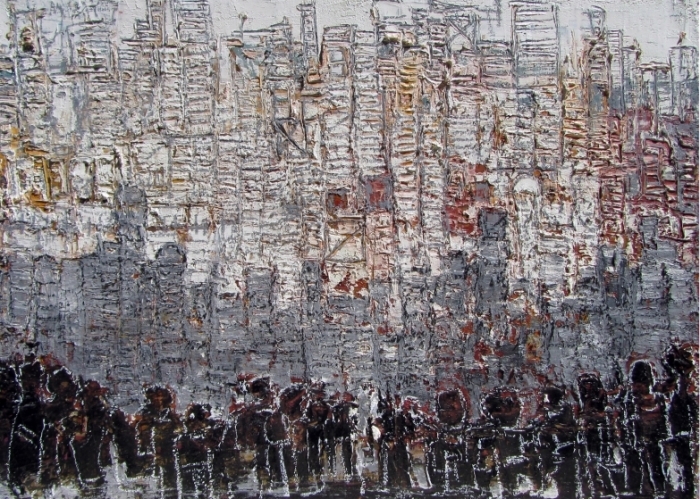 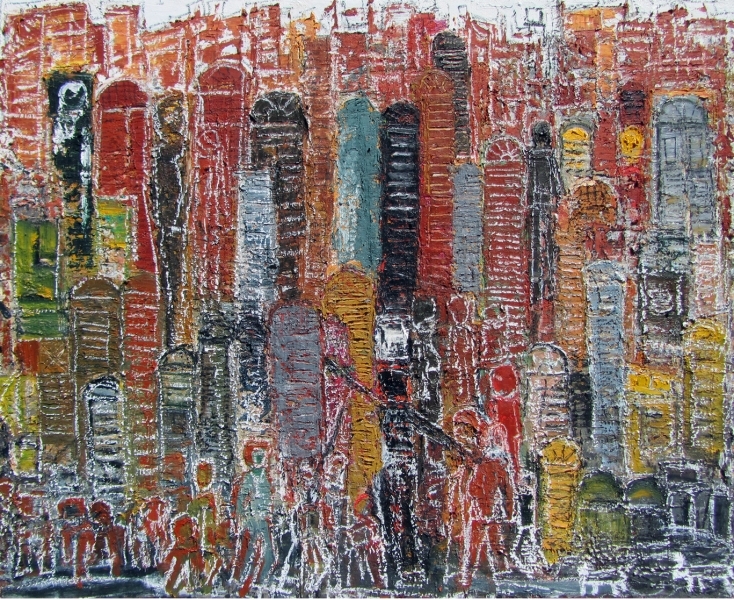 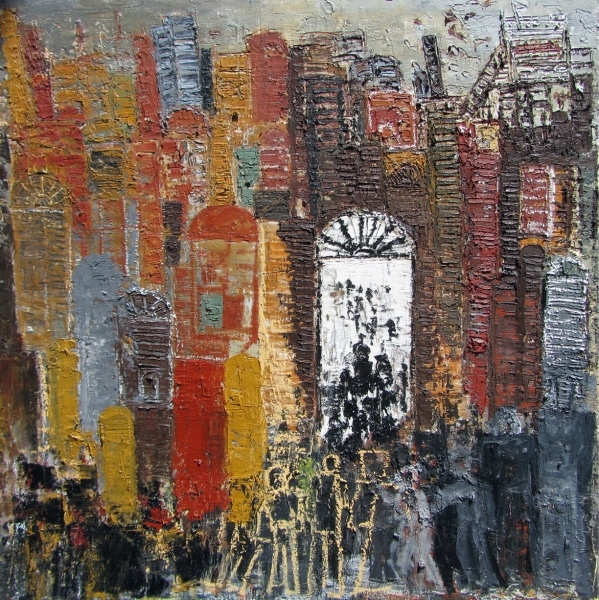 The paintings reflect his astute observation of the social divisions in the community, where Cairene slums rub shoulders with privileged neighborhoods, in a discernible binary urban construction. 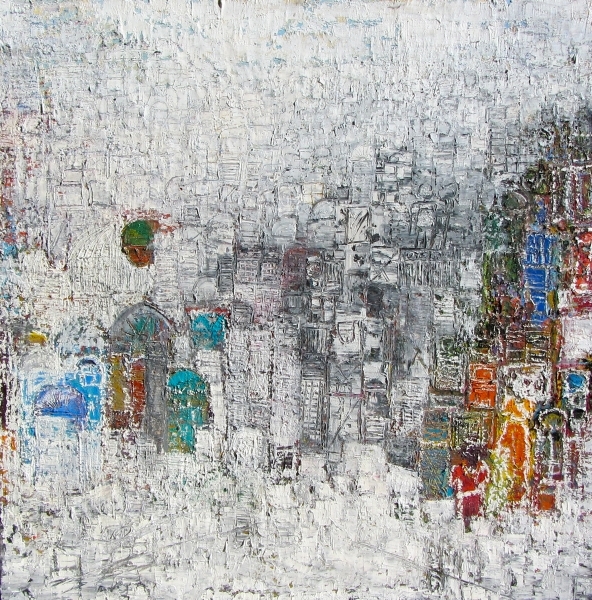 Ahmed Farid’s practice is not about the landscape itself however, it is about the relationship and subversion of co-existing people, thus every oeuvre manifests a story that inspired him from each area. 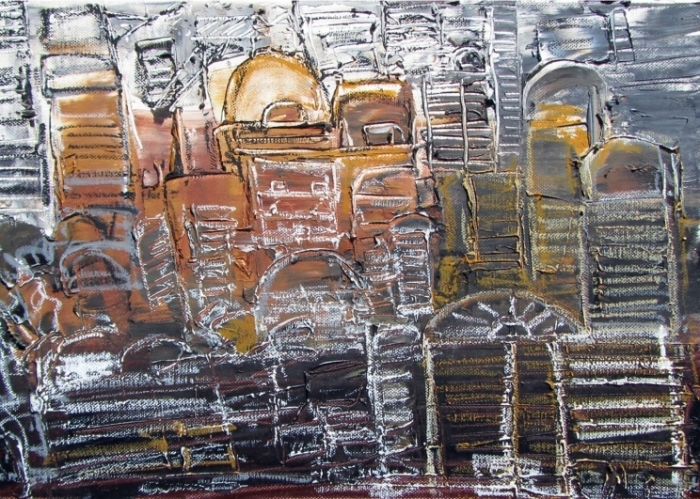 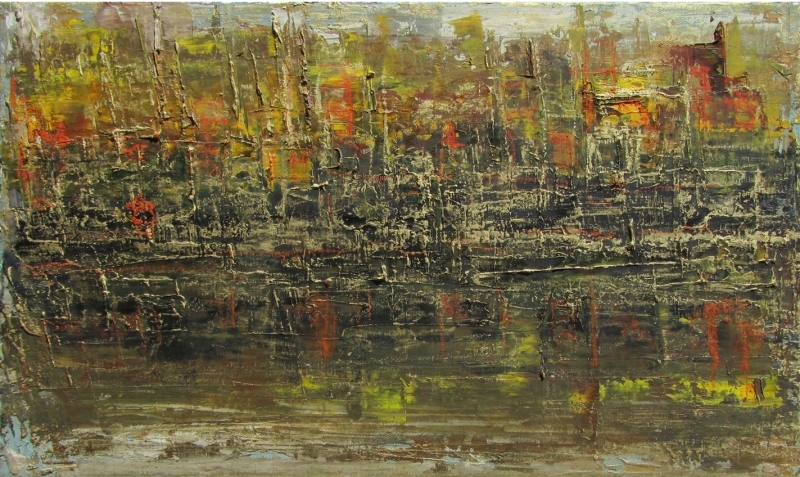 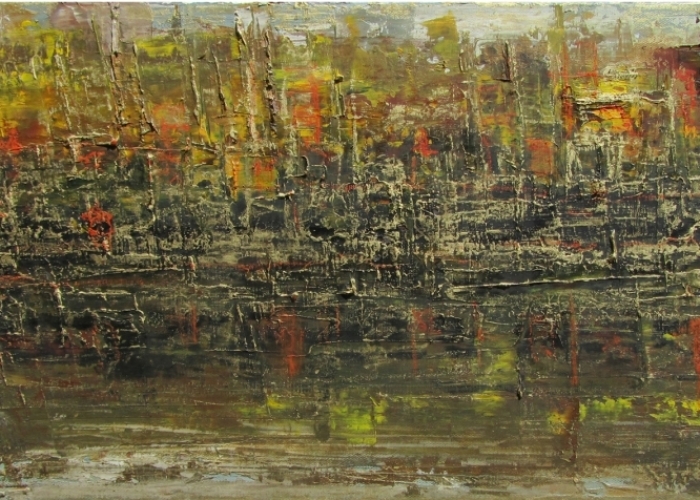 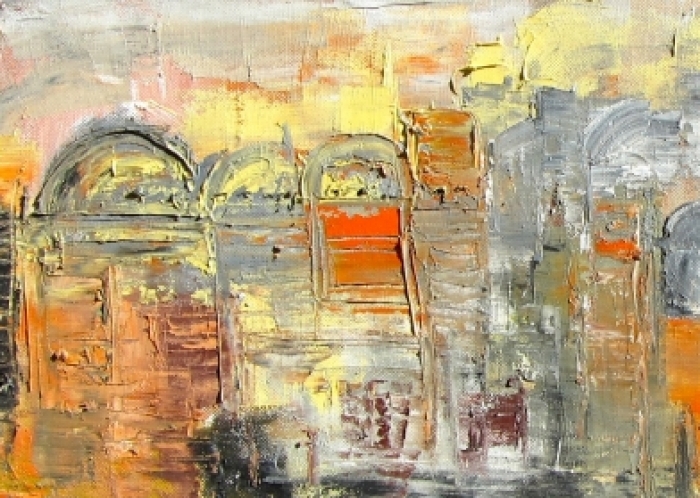 Each tracé bears the mark of his abstracting experience; each painting is alive with gossips, quarrels, wonders & dreams. 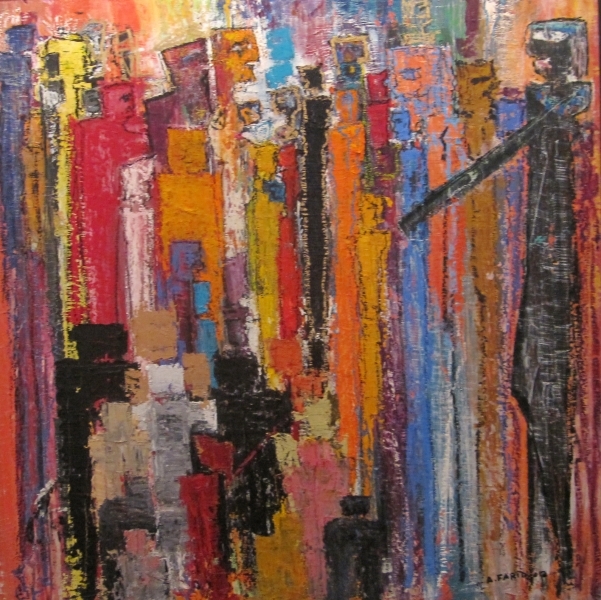 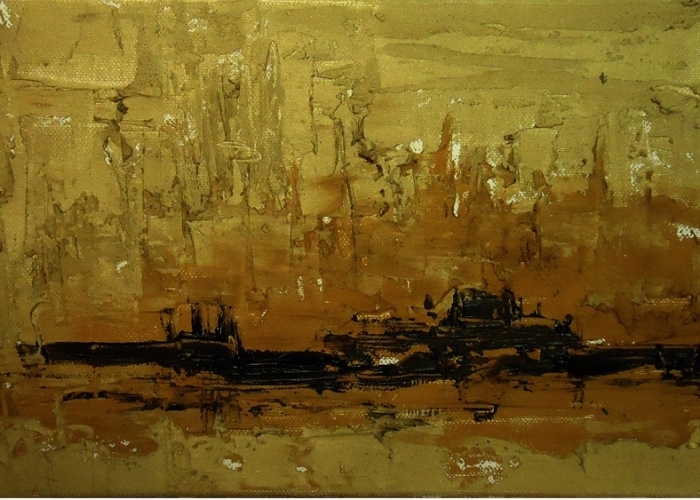 Through the use of a variety of medium and by means of his layering technique, Ahmed Farid produces here a balancing work in his own incisive and idealistic style, an illustration of the ongoing exploration of the collective.